These chilling images show the real problem. 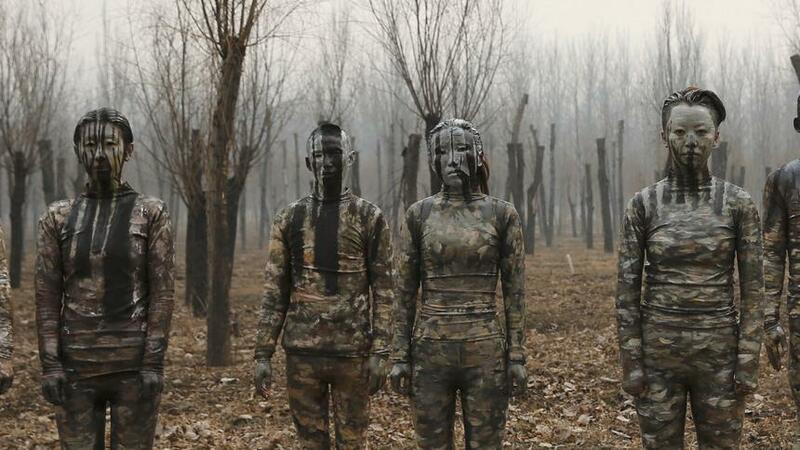 Liu Bolin, known for his perfectly camouflaged body paintings, has created a chilling piece that voices his concerns about China’s growing air pollution problem. 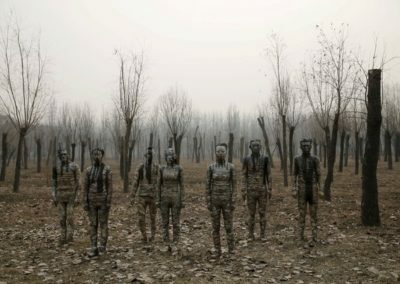 Bolin’s latest work, titled Dongji (Winter Solstice), draws much-needed attention to the issue of air pollution by using the thick smog to create stunning visuals, with human bodies fading into spindly trees and drab gray skies in the background. 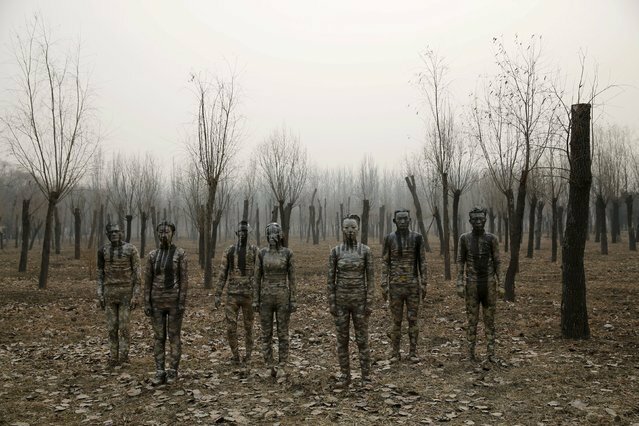 The thought-provoking images have been released mere days after Beijing issued a “red alert” for air pollution; at that point, the capital had never before issued such an alert, but the December 18 warning was the second of the month. In response, schools closed and 2.5 million cars were taken off the streets. “[My work] is at a critical point,” Bolin told Business Insider. In 2014, artist Liang Kegang criticized China’s notoriously poor air quality by facetiously auctioning a jar of fresh air from the French countryside. 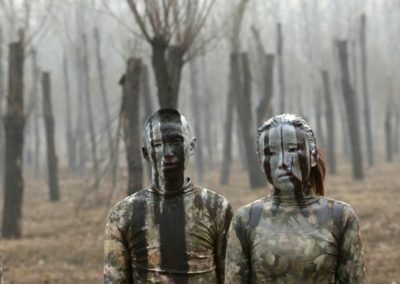 Air pollution in China is just one sign of climate change, a topic that has been widely addressed by artists in the past few years. There have been protests at Tate Modern in London, art-filled demonstrations in New York, and the HighWaterLine project, a blue chalk line created by Eve Mosher in Bristol thought to be the UK’s largest commissioned artwork. Paris in particular has been a hot spot for art aimed at increasing awareness of climate change, from Shepard Fairey‘s giant sphere at the Eiffel Tower, to Olafur Eliasson‘s melting doomsday clock and Tomás Saraceno‘s solar powered spheres at the Grand Palais, among other works that coincided with the UN’s recent Paris Climate Summit.